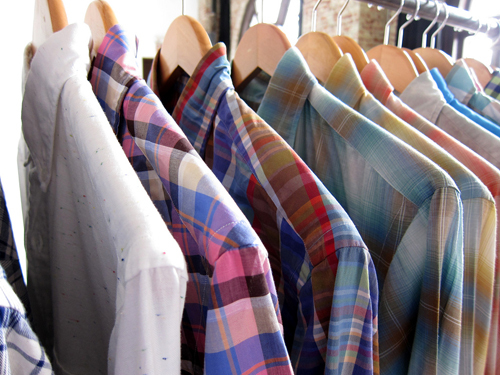 There's nothing like that one good shirt in a man's closet. I mean, one can only hope there is more than that, but if a guy owns at least one nice button up, a girl sees potential. 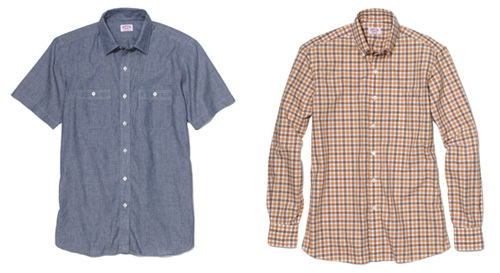 Hamilton Shirt Company, based in Houston, Texas is a good shop for the stylish man to know. They are the oldest shirtmaker in Texas and they are easily one of the finest shirtmakers in the U.S. The shirts are made from the finest Swiss and Italian fabrics (ranging in price from $195-$395) and besides ready to wear options, they offer bespoke and made to measure as well. Bespoke is a fun new word for me and it means creating a garment without any pre-existing pattern, in other words 100% tailored to the customer. Whereas made to measure alters a standard size pattern to fit the customer. The Hamilton 1883 Collection is more on the casual side. I liked reading how the designs were inspired from Marfa, Texas (a town I have on my must see list. Just look at this amazingly cool trailer park hotel, El Cosmico. I must visit and blog about it someday...) The shirts from their Spring/Summer 2012 collection are also inspired by "mid century style, the contemporary art scene and majestic desert colors." Since 1883, the company has stayed true to its roots. Brother and sister team, David and Kelly Hamilton continue the tradition started four generations before them. What's even more special is that the shirts continue to be hand cut and sewn in their Houston workshop. Homegrown just feels better, doesn't it?